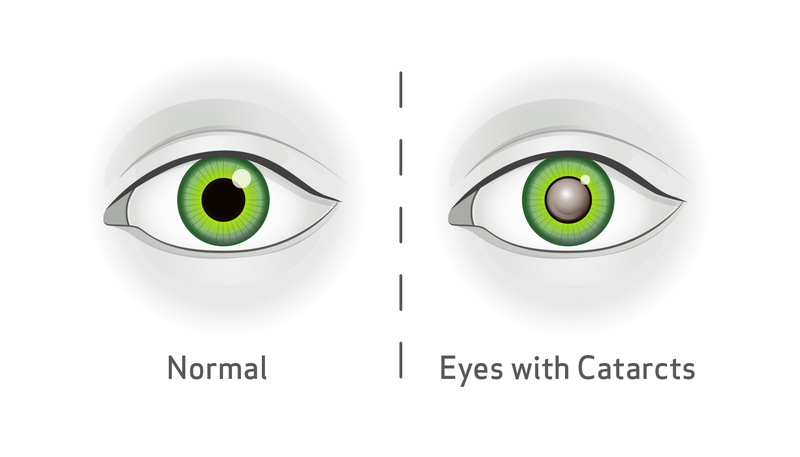 Farsighted, Nearsighted, Astigma…what is it? Nearsightedness – or “Myopia” – is when light focusing in the eye without any correction allows a person to see well for near objects, but poorly for distance objects. The focal point of light focusing in the eye falls short of reaching the retina, often because the eyeball is too long. Vision correction moves the focus forward onto the retina, and makes both the distance and near objects come into focus. Farsightedness – or “Hyperoipa” – this one is a bit tougher. When a person is younger, they may tend to find distance vision easier, and near vision a bit harder. In farsightedness, the eye has to constantly expend focusing effort (if not wearing glasses) to focus both the near and far objects, which can be a source of eye fatigue and strain. As the eyes age, the ability to focus declines, and a person may find that both their distance and near vision become blurry when no correction is worn. The focal point of light focusing in the eye falls behind the retina, often because the eyeball is too short. Vision correction moves the focus forward onto the retina, and makes both the distance and near objects come into focus, and also greatly reduces eye strain and fatigue. Astigmatism – Astigmatism distorts both distance and near vision. The light entering the eye without correction is split into two focal points rather than one, resulting in two focal points in the eye. Vision correction moves both focal points into a single point and then moves that point onto the retina. Now you know! If you don’t see as well as you think you could or should, perhaps you have one of the “Big Three!” If you want to find out, schedule an exam today at 319-665-2727.